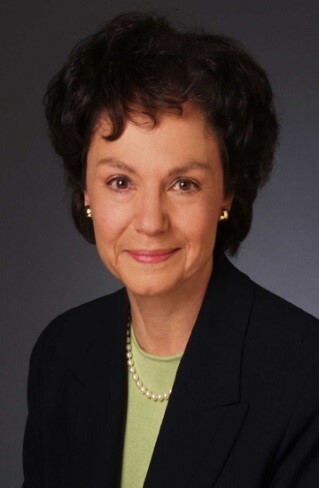 TN: Today my interview is with Patricia Gitt, a former business executive turned writer. PG: I have been writing my entire career. However, I never considered it as anything more than another of my business skills. PG: When I first began to think of writing a book unrelated to my career, I chose to write a novel. Because it was an entirely different form of expression, I sought out seminars and workshops to better understand the differences between creative fiction and drafting factual copy. TN: Why did you write your first book (fiction)? TN: Very interesting reason for writing a book. Anyway, to continue…Why did you decide to self-publish? PG: After querying over 80 agents with no success, I decided to self-publish so I could present my parents with a finished book. They had joined me in this journey that took 25 years from concept to publication. When I presented them with the first copy, they told me how proud they were that I had stuck with it. Their approval was worth the entire effort. PG: I photographed an office building that I thought represented the company in the book and a designer augmented it by placing the title on the roof of the office building. PG: The entire book was done in Microsoft word and the publisher formatted it for paper and eBook publication. TN: What advice can you give to someone who is considering self-publishing? PG: Do your research to find the publisher that has a reputation for delivering the quality you are seeking. Ask friends, read reviews and talk to the representative to see how responsive they are to your questions since you will be working closely with them throughout the process. PG: Unfortunately, I go out to lunch. PG: “FYI An Unintended Consequence” – Fake news terrorizes Taryn Cooper Walsh, managing partner of 4G Investments. 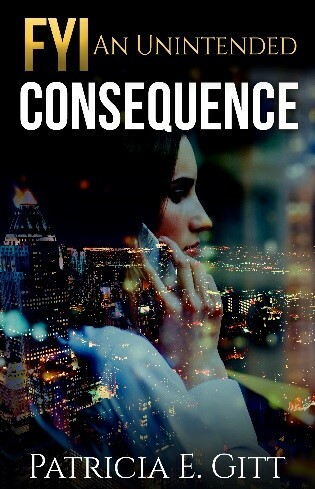 Each mysterious mailing contains increasingly vicious lies all suggesting that Taryn is running a highly unethical firm. Supported by her husband, business partners, and friends, Taryn searches for the source of these fallacious clippings before they are leaked and destroy her reputation along with the trust of investors in her firm. TN: Very pertinent topic these days! Which one of your books is your favorite? PG: It is hard to pick a favorite book, although the first book “CEO” will probably remain top of the list. Each novel is an improvement in my storytelling capabilities and draws on different experiences and people I have met during my career as an executive in public relations. TN: Thank you Patricia for the interview, and I wish you continued success with your writing. Today, my interview is with Joseph Spraga, author of a modern day nursery rhyme. JS: I knew I was a writer in college, but I did not start taking it seriously until many years later. I have always observed life, and read books. Seeing the connection between the two is a very natural and important thing for me. JS: My writing style for my children’s literature is verse. However I make sure to be as didactic as I can be with overtones of social commentary while still keeping it entertaining. JS: I wrote my first book because the chorus of the book popped into my head one day while in a painting class in college. It had been an ear worm for me for many years. I knew then that I had to make a story out of it. JS: I decided to self-publish because of the size, and subject matter of my book. Although many traditional publishing companies liked my book, they didn’t see a way they could market, or make money on it. So I did it myself. TN: You have a very interesting and beautiful cover design. How did you come up with it? JS: “The Snitch, The Witch, and The One Who Was Rich,” is the title of my book. I wanted to have a logo that represented these three characters and “brand” my book as well. JS: For my hardcover book it was a lot of Photo Shop, Adobe Acrobat, and Microsoft Paint. Once I put the final pieces together, I was able to upload my eBook to Amazon. I had my book printed through Print Ninja. Again since I had a final PDF, I just sent it to them and they printed the book. JS: Yes. Patience, a lot of patience. 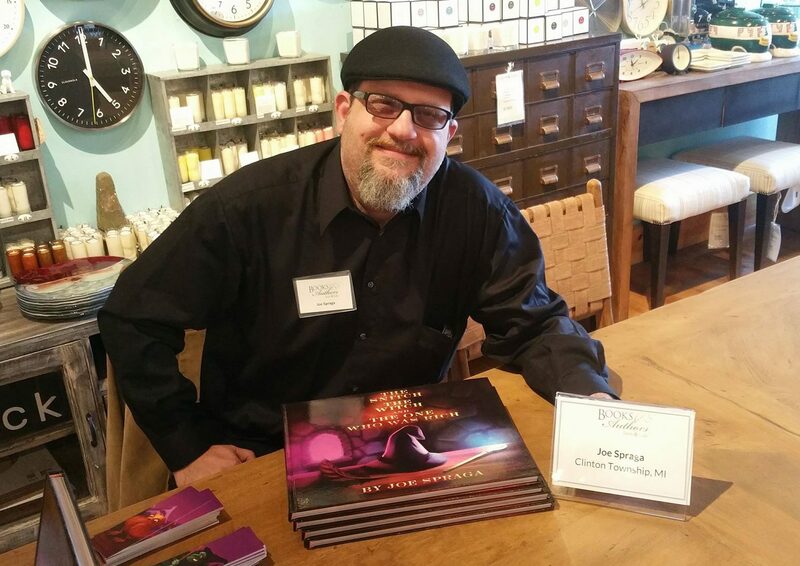 Social media, and book signing events whenever you can. JS: When self-publishing, I get “stuck” on something every day. It doesn’t stop. I look to other mediums for inspiration. If the internet is a dead end on a particular day, I read a newspaper. If I have writers block, I do the WHO, WHAT, WHERE, WHEN, WHY, HOW? Questions to myself until I am able to see the path ahead of me, and for my story. TN: Describe the plot of your book. JS: Welcome to Moonwood, a modern day nursery rhyme about how to use your time wisely and be a better you! Follow these quirky townsfolk in a beautifully illustrated picture book, as they gather outside the clock tower and seek Father Time’s wisdom on achieving personal goals, and getting along with each other in their magical community. What will they discover? Time is the only true commodity. This story shows both children and adults, that we must use what little time we all have to be good to each other. 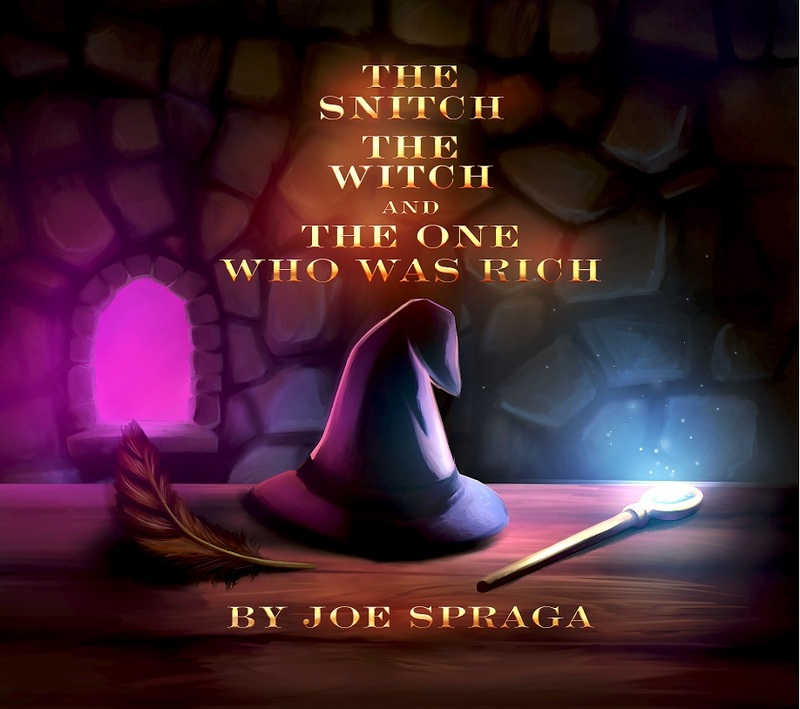 JS: “The Snitch, The Witch, and The One Who Was Rich.” For me, it answers important questions and deals with the most common issues we deal with as a society on a daily basis. TN: Thank you Joe for sharing with us, and I wish you continued success with your writing. 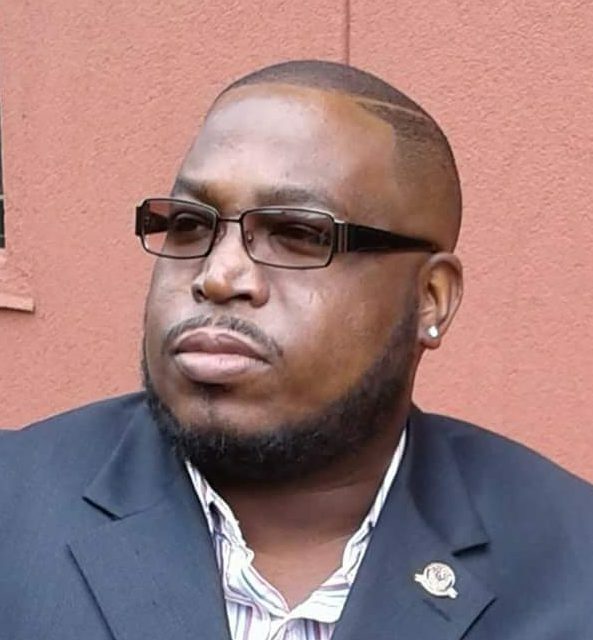 Welcome to my interview with Christopher Felton, author of “Re-member Yourself,” a self-help workbook. CF: I discovered my penchant for writing when I was a teenager. When I realized that I had a talent for writing poetry, I began to use this talent to structure my poetry cryptically, so that I could express myself on paper in a manner in which only I could decipher, yet readers could still appreciate the poetry from a surfaced perspective. TN: What is your background? TN: Which writers inspire you the most? CF: I wrote my first book, “Cipher’s Den,” as a compilation of the poetry that I’d written over several years. CF: I chose the best of both worlds (in my opinion) by utilizing a publishing service that caters to self-publishers. As a result, I employed professional editing, design, and printing services while still maintaining full creative and legal rights to my work. TN: What software did you use? CF: I used basic WORD for my manuscript, then a publishing service for the professional finish. CF: If you decide to self-publish, be sure to “inspect what you expect.” In other words, don’t allow editing and formatting errors to dampen the quality of your written content. Also, never allow anyone to convince you that using a publishing service somehow diminishes your work…it doesn’t…it simply fills in gaps which you may not be equipped to fill. CF: When I’m “stuck,” I “stop.” I walk away and give myself time (be it minutes, hours, days, or even weeks) to allow my “well to refill.” Regardless of how long it takes, never rush the process. Quality diamonds take time to form. TN: What motivated you to write this specific book? CF: My motivation was simply my personal need for the information and exercises. My intention was to organize some sort of self-help compendium for myself. The questions, statements…everything, began as a way of achieving a profound and comprehensive method of introspection, as I was tired of experiencing my ‘potential’ creative energy lacking kinetic manifestation. In other words, I was tired of taking one step forward, then two steps back. I was tired of dealing with chronic depression since I was a child, and I was tired of hearing about the same old fixes for my life which was akin to placing a Band-Aid over a gash in a sinking boat. As I continued to write, the information continued to flow. 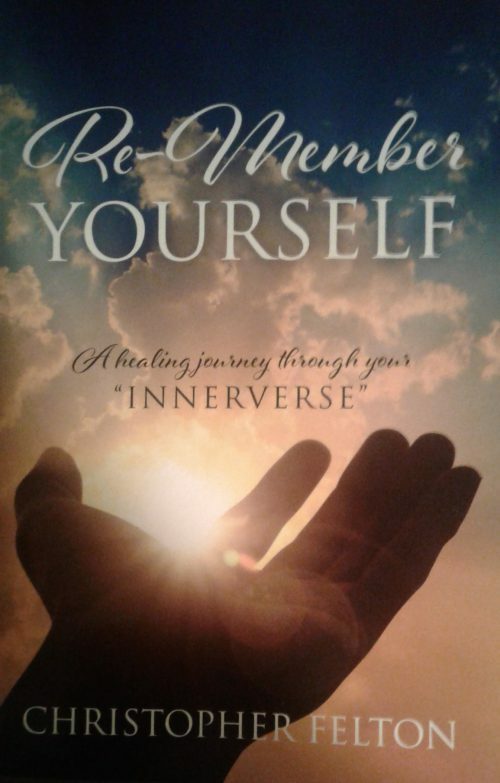 Once I realized “Re-member Yourself” was simple and short, but significant and powerful, I decided to share it with others. In no way does this mean that I have all the answers, but it DOES mean that I now realize I don’t NEED to have all the answers, because I’m “enough” just as I am. CF: LOL…that’s like asking me to choose a favorite child of my children. My first book (“Cipher’s Den”) is a poetry book that reflects the most personal and private parts of who I am, while my second book (“Re-Member Yourself”) is a literary program I’ve painstakingly devised out of my own introspection which has helped me TREMENDOUSLY, so I decided to share it with others. TN: Thank you Christopher for the interview, and I wish you continued success with your writing. To my readers, you can find the link to his website below. Of course his book is available on Amazon. Over the next few weeks, and maybe longer, I will be posting email interviews I’ve had with indie authors who belong to the Facebook group, BooksGoSocial Author Collaboration. It is my pleasure to share with you and I hope these authors’ viewpoints encourage you to keep reading and writing. 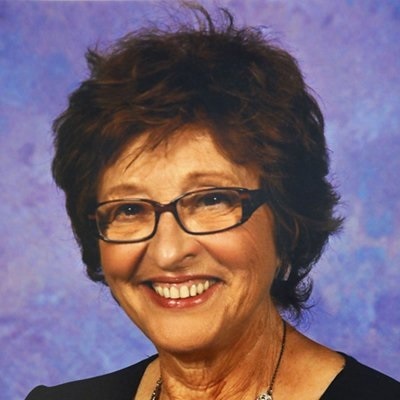 The first interview is with Marlene Ringler (MR), whose book “I Am Me” is scheduled to be published in July 2018. I will let you discover in the interview the subject of her work. MR: I think my writing interests evolved especially when I realized that so little has been researched and written on the subject of the aging autistic population. MR: Because my first serious writing pieces were academic, including a PhD. I needed to try to adopt a more personal approach in writing my recent book about my journey with my autistic son. This was important as I wanted to really connect with my readers and research writing does not do this, obviously, so it took a great deal of time, revisions, and editing to change my style in keeping with my subject. 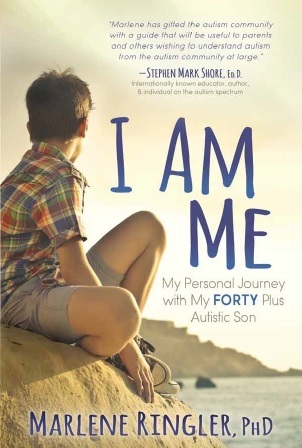 MR: My personal journey with my forty-plus autistic son was written as an effort to reach out to the community of people affected by an autism spectrum diagnosis. It was written as a compelling very personal story about how one family, mine, dealt with this challenging diagnosis. In addition, since so little is written about what lies ahead as our children age, I felt that I had something to contribute to the conversations related to the issue of the aging autistic. As I like to say, today’s autistic children are tomorrow’s autistic adults and what challenges must we as parents face to ease this transition, especially when we are no longer around to support and love them. I ask some very tough and personal questions such as what will happen when we as parents and families are no longer around to provide daily guidance, love and support. TN: Describe of your book for us. MR: My book takes the reader into the world of the autistic adult and helps the reader to appreciate the complexities of living in a world where being different is a life long struggle. It is a journey told through my own prism of the mother offering hope, belief, and conviction that the life of a child with autism can and should be fulfilling and rewarding. One of my goals was to compel the reader to engage in helping to make the world a safer and better place for those affected by an autism diagnosis. My journey addresses very human questions as I presented research findings and current investigations into the spectrum disorder using everyday language. TN: You decided to use an independent publisher rather than self-publish. Why? MR: There are many really good options out there. I thought about using the services of Amazon’s own Createspace as they approached me and were outstanding. But, at the end of the day, I chose to go with this publisher as they appeared supportive, interested in my subject and did not pressure me. I think that it was a very good decision. My publisher is Morgan James and the book will be released to the public in July 2018 but it is available now for preorders. MR: Publisher designed based on my request about a child looking into the future with longing and uncertainty. I think that it delivers a really good message to the potential reader, I do hope so! TN: What software did you use? for print or for eBook? MR: Just did all using Microsoft Word. MR: It did happen and I just learned to accept this as part of the process. I usually just left my computer and moved on to other tasks but not for too long as I did not want to lose my self- confidence. Generally, it took a day or so until I returned to my writing. Thank you to Writers’ Lens. Read my interview published today on The Writers’ Lens. Enjoy! Literary Selfies has been posting interviews from it’s indies authors. Our authors reveal their motivations for writing, the reasons they chose the self-publishing route and other interesting topics. Makes very interesting reading. Take a look and Like their interview. 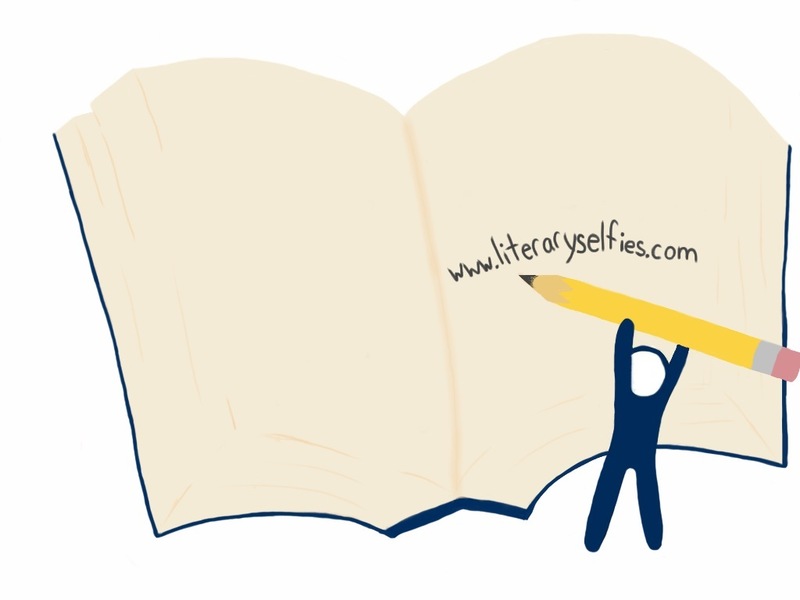 Check out the Blog page on Literary Selfies (LS) www.literaryselfies.com. LS is featuring interviews of the indie authors. Responding to questions from LS, the authors discuss their first writing experience, first published novel, and when they began to consider themselves as a writer. They also reveal why they took the self-publishing route, their publishing experiences and tips for aspiring indie authors.